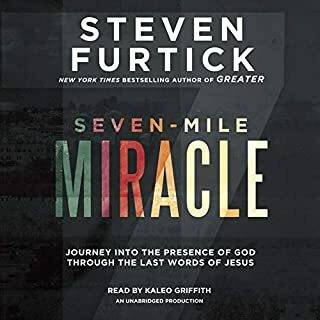 This little audiobook is hard to swallow. 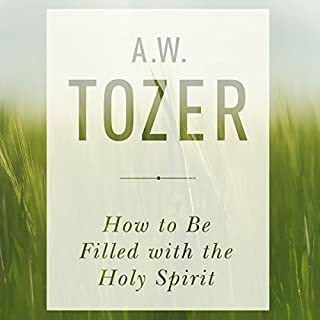 In it, A. W. Tozer teaches plainly who the Spirit is and why we should desire him but why few of us do. He instructs us in how to be filled with the Spirit but first poses this question: Do you really want to be filled? Do you want to be filled with the Holy Spirit? Too many discipleship books are written for clean, perfect people who know all the right Sunday school answers. 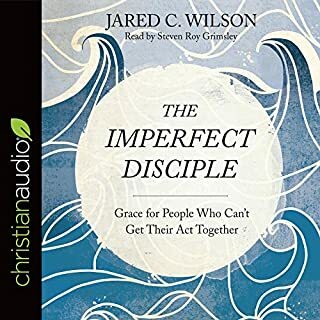 The Imperfect Disciple is for the rest of us - people who screw up, people who are weary, people who are wondering if it's safe to say what they're really thinking. For the believer who is tired of quasi-spiritual lifehacks being passed off as true, down-and-dirty discipleship, here is a discipleship book that isn't afraid to be honest about the mess we call real life. A Must Read or Listen! Probably no book published in the last decade has been so ambitious as Charles Taylor’s A Secular Age. He seeks nothing less than to account for the spread of secularism and decline of faith in the last 500 years. Now a remarkable roster of writers - including Carl Trueman, Michael Horton, and Jen Pollock Michel - considers Taylor’s insights for the church’s life and mission, covering everything from healthcare to liturgy to pop culture and politics. Nothing is easy about faith today. But endurance produces character, and character produces hope, even in our secular age. It's Good Friday. The Son of God is giving up his life. What does he want to say to us in his final hours? What does he tell the people standing at the foot of the cross to pass down to the ages? He speaks only seven short statements. Words of forgiveness, salvation, relationship, abandonment, distress, triumph, and reunion. Seven statements that mean everything. 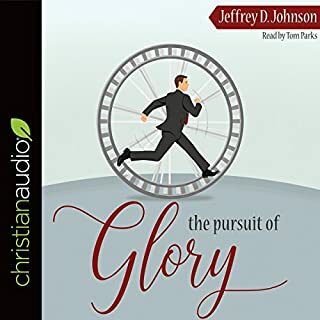 Author Jeffrey Johnson begins The Pursuit of Glory with this observation: “You and I are looking for something. Though we may not know exactly what it is, we continue to search for it. What is it? It is glory.” Explaining this pursuit as part of our human condition, the author considers the ways we try to fill that empty place in our hearts through happiness, purpose, freedom, companionship, truth, peace, holiness, and life. Anyone can start a race, but it takes planning and training to finish it. A good long-distance runner knows the importance of planning his race. As he passes the starting line, he is already considering how he will cross the finish line. As he takes his first easy step, he has planned how he will take his last grueling step. As a Christian man, you are already running the race of life. You are not competing against other people but against the deadly enemies of the world, the flesh, and the devil. How do you plan to maintain your pace throughout this race? The universal symbol of the Christian faith is neither a crib nor a manger, but a gruesome cross. Yet many people are unclear about its meaning, and cannot understand why Christ had to die. In this magisterial and best-selling book, John Stott explains the significance of Christ's cross and answers the objections commonly brought against biblical teaching on the atonement. Training your children well and not causing them to stumble in any way ought to be one of the highest priorities of Christian parents. 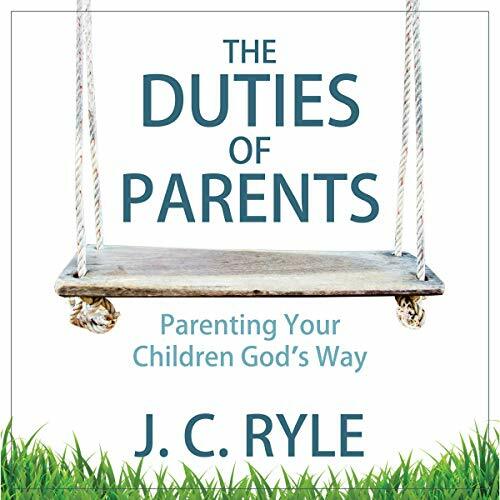 In The Duties of Parents, J. C. Ryle presents 17 simple and yet profound responsibilities of Christian parents. Nothing new is contained in this little volume, yet what is presented has the potential to change future generations both now and for eternity. Learn how to shepherd your children; learn how to utilize the most significant key of all - love; and learn first and foremost how to present and represent Christ to your children. 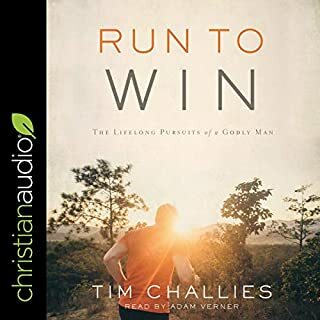 As you listen to this book, expect to find yourself both challenged and excited to begin a wonderful, appropriate, and growing relationship with the most wonderful gift God can give us in our lifetime - our dear children. About the Author: John Charles Ryle (1816-1900) graduated from Eton and Oxford and then pursued a career in politics, but due to lack of funds, he entered the clergy of the Church of England. 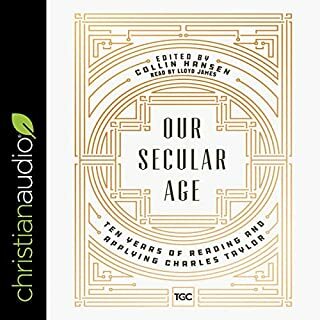 He was a contemporary of Spurgeon, Moody, Mueller, and Taylor and read the great theologians like Wesley, Bunyan, Knox, Calvin, and Luther. These all influenced Ryle’s understanding and theology. Ryle began his writing career with a tract following the Great Yarmouth suspension bridge tragedy, where more than a hundred people drowned. He gained a reputation for straightforward preaching and evangelism. He travelled, preached, and wrote more than 300 pamphlets, tracts, and books, including Expository Thoughts on the Gospels, Principles for Churchmen, and Christian Leaders of the Eighteenth Century. Ryle used the royalties from his writing to pay his father’s debts, but he also felt indebted to that ruin for changing the direction of his life. He was recommended by Prime Minister Benjamin Disraeli to be Bishop of Liverpool where he ended his career in 1900.